In case you've been hiding under the rock these past months, Damien Chazelle’s La La Land is a major hit and it hasn't even hit theaters yet! This beautiful and heartbreaking story continues to sing and dance its way through awards season! 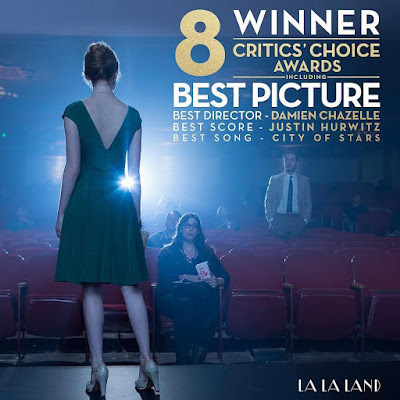 According to EW, Emma Stone and Ryan Gosling — "won the Broadcast Film Critics Association’s highest award at the group’s annual awards ceremony on Sunday night in Los Angeles, further fueling the film’s bid for the Best Picture Oscar after it took the prestigious TIFF People’s Choice Award in September and the New York Film Critics Circle’s Best Film honor earlier in December." WOW! That's amazing! And in case you don't believe us, then you MUST go watch it this upcoming Friday at a theater near you. 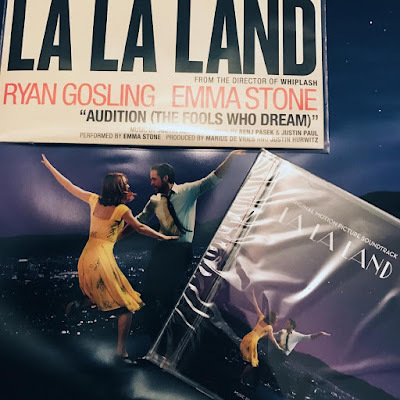 While you wait, three luck fans of this site will have the chance to win a copy of La La Land soundtrack and mini vinyls of the single “City of Stars”! All you need to do is enter the rafflecopter below!